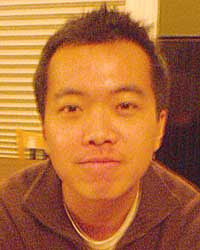 The East Village Association board has slated Kok Keng Goh as a candidate for treasurer in the March 7 election. Here is his introduction to EVA members. Nominations also will be taken from the floor at 7 p.m. in the Happy Village, 1059 N. Wolcott. The other slated candidates  Greg Nagel, Neal McKnight and Dana Palmer  will stand for re-election in their current positions of president, vice president and secretary. Their biographies can be found here. I graduated from the University of Michigan, Ann Arbor, and moved to Chicago in 2007 to work for ZS Associates, a management consulting company. I assisted clients, primarily pharmaceuticals, with optimizing their sales and marketing functions such as incentive compensation, realigning geographical coverages, promotion and call plans, and market research. I left ZS in 2010 after obtaining U.S. residency to pursue a career in real estate investing. Most of my work is currently on the South Side, where I partner with a nonprofit organization and invest in rehabbing properties for lower-income families. I grew up in Singapore, a city-state island known for its ethnic enclaves and diverse population. Chicago draws great similarities for me, and East Village in particular provides the same charm with its mix of inhabitants and blend of old and new architecture. I would like to see our neighborhood continue developing and I hope to contribute towards that cause as treasurer. Although I am relatively new to EVA, I have enjoyed every monthly meeting and I have come to appreciate the organization's importance in raising awareness of neighborhood issues. I relish the opportunity to become even more involved in the community, to help manage neighborhood concerns and to become a better homeowner. While I am unfortunately unable to attend our March meeting due to prior work commitment in Phoenix, I wanted to express my excitement to serve on the board and I sincerely appreciate the membership's understanding.